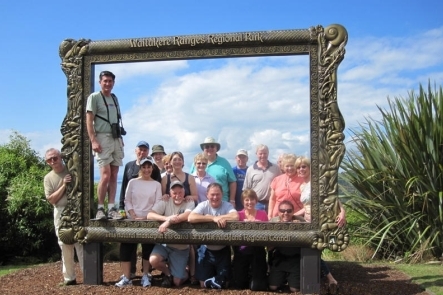 Awe-inspiring 360º panoramas from the summit of Auckland’s highest volcano, Mount Eden across the sparkling Waitemata and Manukau harbours, the Waitakere Ranges to the west and our youngest volcano, Rangitoto, just off the eastern coast. Travel westwards to the Arataki Heritage & Environment Centre. 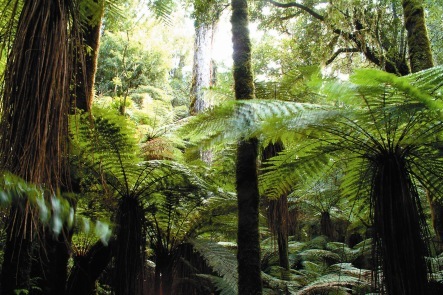 Guarded by an 11m tall traditional Maori pou (carved guardian), Arataki is a fascinating introduction to the stories and secrets of the Waitakere Ranges – an ecological treasure cloaked with 16,000 hectares of spectacular rainforest. Wind through pristine rainforest to a sheltered glade, set beside a freshwater stream, for a picnic lunch (cost not included) surrounded by our unique flora and birdlife. 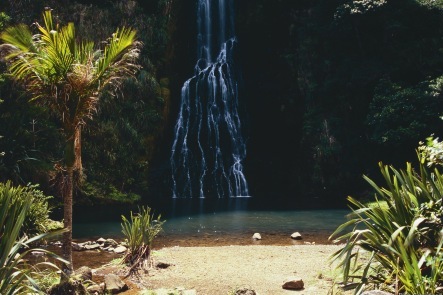 Take an easy bush walk (around 30 minutes each way) to a cascading, multi-tier waterfall. Refresh yourself under the clear, clean waters of the falls, or simply relax in the leafy shade. Feel our world-renowned black-sand between your toes on an untamed west coast beach. 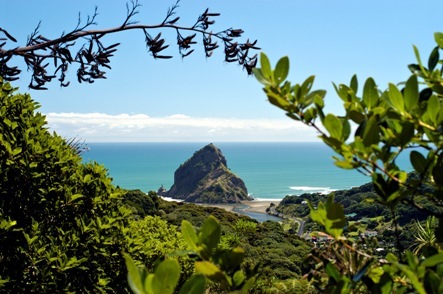 Made famous in films like The Piano, the iconic iron sand beaches of Karekare and Piha are magnets to lovers of nature at its most wild and exciting. We then drive down into open farmland passing vineyards and orchards on our way to Muriwai Beach and its Gannet Colony who nest from August to April. Wine tasting participants must be 18 years or over.